Much excitement in the Front of House department this week. 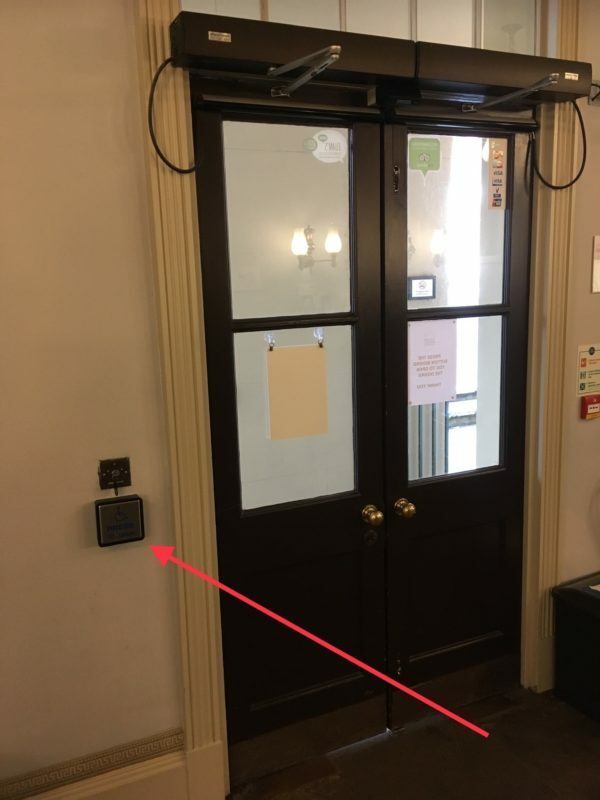 We have, at last, had push buttons installed on our foyer doors. Historically, they’ve been on an automatic opener and have behaved in a very random fashion, notably letting all the warmth out of the building. You’ll no longer see Sue and her wonderful team huddled in scarves and gloves. 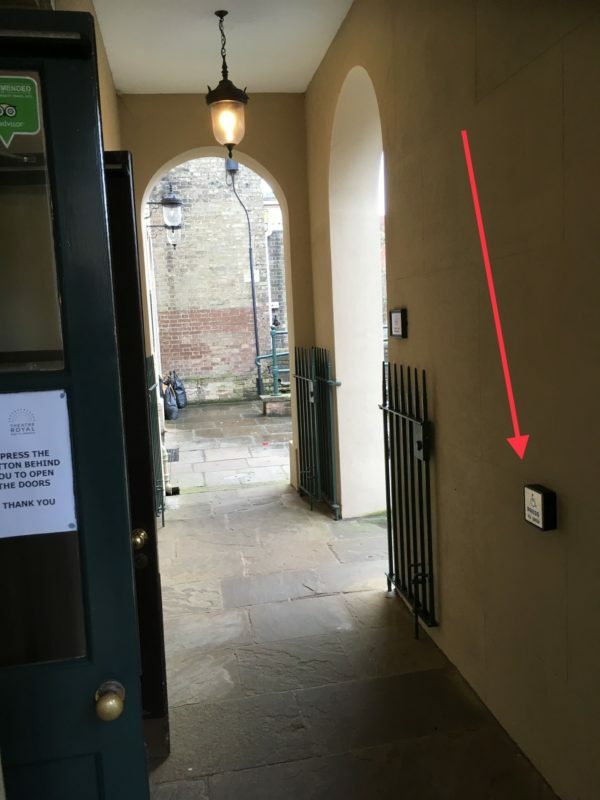 There’s a large, square button located centrally on the inner wall of the portico and another on the left of the doors inside. A gentle push on either of these will open the doors which then close automatically once you’re clear of them. We are grateful to the National Trust for facilitating this improvement and now look forward to the anticipated drop in our fuel bill!